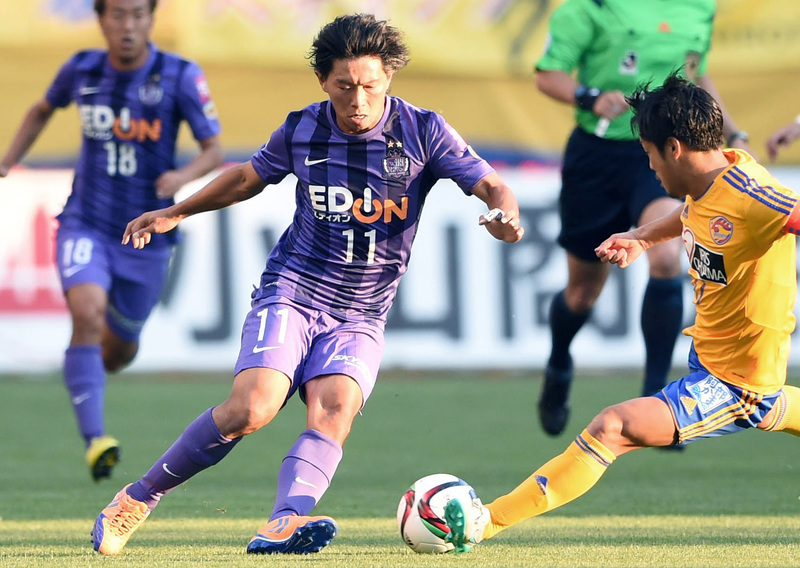 The J. League’s return to a two-stage system gives teams who started slowly another bite at the championship cherry, but Sanfrecce Hiroshima have bigger ambitions than just the second-stage title. Sanfrecce came from behind to end overall league leaders Urawa Reds’ unbeaten start to the season with a 2-1 win on Sunday night, preventing the Saitama side from opening up an eight-point lead in the overall table. Sanfrecce now trail Urawa by only two points in the overall standings and lead Vissel Kobe by two points in the second-stage table after three games. Given that the team with the most points over the whole season goes straight to the championship-deciding game, while winning a stage merely guarantees a place in the playoffs, Sanfrecce’s determination to rein in the runaway leaders was understandable. “We have to fight for the championship once again,” said Sanfrecce manager Hajime Moriyasu, who led the club to the title in 2012 and ’13, after Takuma Asano and Toshihiro Aoyama had cancelled out Takahiro Sekine’s first-half opener at Saitama Stadium. Sanfrecce are undoubtedly the form team of the moment, having started the second stage with three straight wins and 12 goals. But Moriyasu’s side, which finished the first stage in third place, seven points behind Urawa, has been building momentum for some time and has now lost only once in its last 15 league matches. Sanfrecce’s form is all the more impressive given their indifferent eighth-placed finish last year and the offseason departure of stalwarts Yojiro Takahagi and Naoki Ishihara. Moriyasu spoke before the season about trusting his younger players to fill the gap, and an electrifying performance off the bench by 20-year-old Asano on Sunday suggested the manager’s instincts were well placed. Factor in the continued excellence of striker Hisato Sato — fast closing in on the all-time J. League goalscoring record — the return to full fitness of midfield general Aoyama, and the defensive nous of Hiroki Mizumoto and Kazuhiko Chiba, and it is clear that Sanfrecce have all the tools needed to win the title. Whether that happens remains to be seen, but Sanfrecce have certainly laid down a marker. Yokohama F. Marinos’ star man missed practically the entire first stage after struggling with injury, but the 2013 J. League player of the year was unmistakably present in Sunday’s 2-2 draw with Gamba Osaka. With Gamba leading 2-1 in the 94th minute, Nakamura stepped up to bury a trademark free kick to salvage a draw and put himself clear at the top of the all-time J1 list for goals scored direct from free kicks. “I haven’t been paying any attention to that at all,” Nakamura said of moving past Gamba’s Yasuhito Endo on the list with the 18th direct free kick goal of his J1 career. “Who’s second? Is it Yatto (Endo)? Vissel Kobe had a first stage to forget, but the ambitious Kansai side has wasted no time in setting the record straight now that the second stage is under way. Kobe finished the first phase in 13th place — a full 22 points behind stage champions Urawa Reds — but two wins and a draw since the restart have pushed Nelsinho’s side up to second in the second-stage table and seventh overall. — Kashiwa Reysol striker Masato Kudo savors overtaking club legend Hideaki Kitajima’s tally of 52 career goals for the club with his 53rd in Sunday’s 1-0 win over Kawasaki Frontale.